The development of new bio-refining technologies based on agricultural waste is seen as key to reducing Europe's dependency on fossil-based products. According to a White Paper by the International Council on Clean Transportation, about 144 million tonnes of wheat residues accumulate each year in the EU. Supported by the EU-funded OPTISOCHEM project, researchers have made significant progress in transforming this excess material into something more useful: bio-isobutene, or bio-IBN, a key precursor for numerous chemicals. The project involves several processes such as the conversion of wheat straw into hydrolysate and its fermentation into isobutene. This material is then converted into oligomers and polymers. A press release by project coordinator Global Bioenergies states that "currently underutilized residual wheat straw has been converted at demo scale into second generation renewable bio-isobutene, and will eventually be transformed into oligomers and polymers usable in lubricants, rubbers, cosmetics, solvents, plastics, or fuels applications." Quoted in the same press release, Jean-François Boideau, EMEA Commercial General Manager at project partner INEOS Oligomers, says: "To date, we received several batches of bio-isobutene from Global Bioenergies for qualification purpose[s], and the quality is promising. During the next phase of the project, INEOS is ready to evaluate conversion of additional quantities of bio-isobutene into downstream products in order to assess the potential of this bio-based feedstock as a building block for end consumer applications." Frederic Pâques, COO of Global Bioenergies, adds: "We expect to produce several tons of bio-isobutene on this new non-conventional feedstock in the remaining periods of the project." The project website notes that the partners hope to make use of the "technical, economic as well as environmental/social sustainability performances" for a commercial biorefinery. 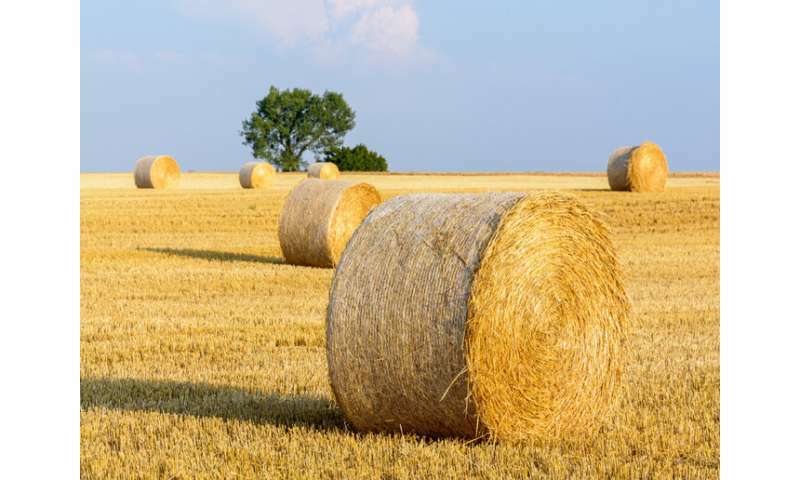 The ongoing OPTISOCHEM (OPTimized conversion of residual wheat straw to bio-ISObutene for bio based CHEMicals) project is funded by the Bio-Based Industries Joint Undertaking (BBI JU), a public-private partnership between the EU and the Bio-based Industries Consortium. The project will run until May 2021. As summarised on the BBI JU project web page, OPTISOCHEM aims to achieve a rise in "the yield of targeted bio-based product(s)" by over 20 percent and lessen "production costs of bio-based products by 10-20 percent, compared to current market situation." Another expected impact of the project involves "savings, in terms of CO2 emissions per kg product by more than 20 percent for bio-catalytic as compared to state-of-the-art production methods." The partners also plan to cut "energy consumption by more than 30 percent for bio-catalytic processes." Overall, the BBI JU is expected to provide several environmental and socioeconomic benefits, as summarised on its website: "The new bio-based products resulting from the BBI JU will on average reduce CO2 emissions by at least 50 percent compared to their fossil alternatives." It emphasises that these products will be "comparable and/or superior to fossil-based products in terms of price, performance, availability and environmental benefits."